Prime Minister Theresa May’s attempt to break the deadlock over Brexit stalled after the opposition Labour Party said she hasn’t offered “real change” to her policy. The pound fell. May’s office responded with a plea to keep talking, saying the government was willing to make more changes. The stalemate will make it harder for May to argue at a summit next week that she needs only a short extension to Britain’s EU membership to get a Brexit deal approved at home. May has failed to get the accord she negotiated with EU leaders ratified by a divided Parliament and so has turned to Labour leader Jeremy Corbyn for help. But once again, time is not on May’s side. She wants to get a deal done with Labour that allows Britain to leave the bloc next month and avoid the politically toxic scenario of having to hold elections to the EU Parliament three years after voters demanded an end to membership. But Corbyn, and the EU, are in less of a hurry. While EU leaders are still split on how long the extension should last, European Council President Donald Tusk is pushing for a delay of as long as a year to allow time to forge a new consensus. May will meet EU leaders Wednesday to make her case for a short extension to June 30. The U.K. was meant to leave March 29, but leaders hit pause at a late-night summit to avoid an economically disruptive no-deal split. May’s side responded with an offer to make changes to a document that sets out what future ties with the EU should look like. The so-called political declaration she signed with the EU last year isn’t binding but is a roadmap for future trade talks. The bloc is divided on how long to offer, with France leading the resistance to a long delay. 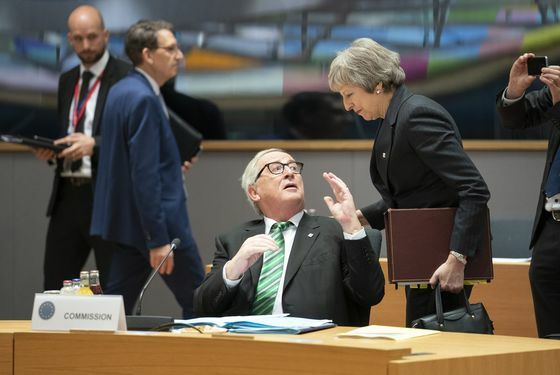 EU leaders are also worried about allowing an exiting Britain to disrupt the bloc’s business, and are concerned that if May is ousted a more hardline successor might cause trouble. The EU’s remaining 27 leaders, who meet May in Brussels for a summit Wednesday, have to agree on any offer unanimously, and it’ll be up to them to forge a common position. Still, officials don’t expect any member state to veto a delay and force the U.K. out into legal limbo. The EU has previously said any long extension would be conditional on a “clear plan” for the way forward, or a political “event” such as another referendum or general election. 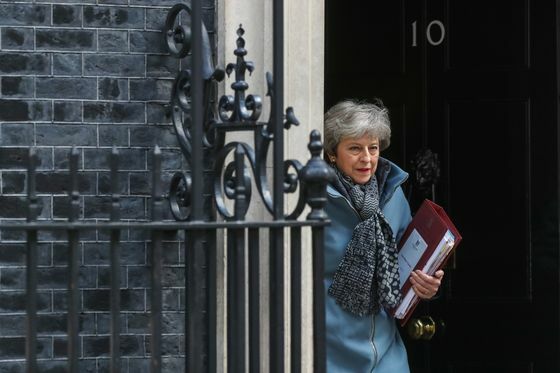 May’s efforts to form a cross-party position with Corbyn, and a proposal to hold votes in Parliament on the desired outcome, will probably be enough, officials said earlier Friday. However, if the talks are stalled, it will be harder for May to argue she has a clear plan. Without an agreement at the EU summit, the U.K. would leave the bloc April 12 if Parliament doesn’t approve the deal before then -- crashing out without laws and regulations in place to ensure smooth cross-border trade and orderly markets. That’s a scenario Parliament is working to prevent, and May has said she won’t lead the country out of the bloc without a deal unless lawmakers consent to it. The EU says it’s prepared for no deal and has been talking up the prospects of such a scenario, but in private officials expect it to be avoided.